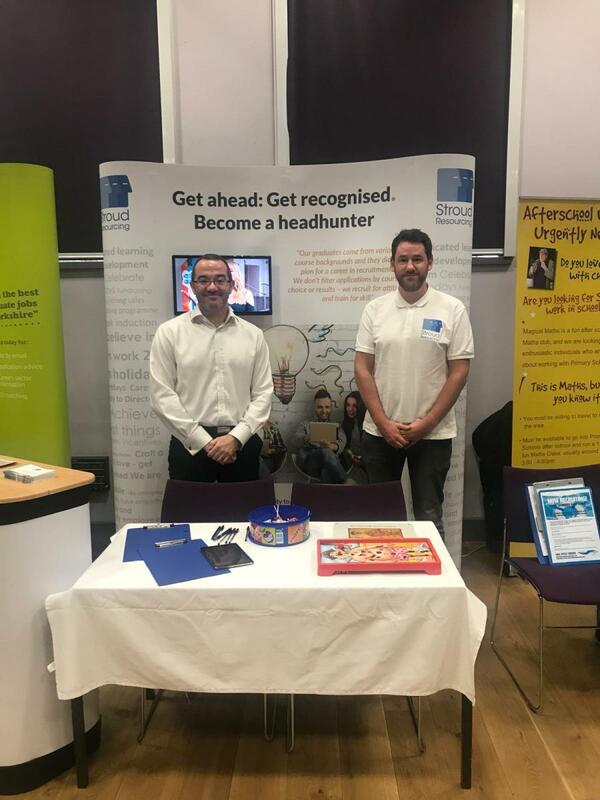 Andrew and Guy visited both of York's universities recently for their respective careers open days, pitching up with a brand new stand! Other big companies included Virgin, Proctor & Gamble and MI5! 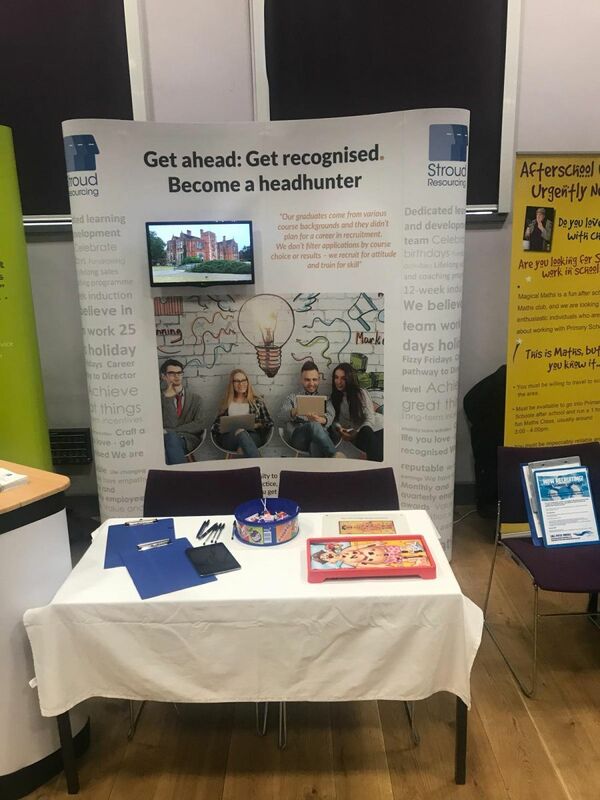 The purpose of attending was to engage with students who are looking to choose a career, to talk about our business, the recruitment industry and what a career in recruitment can offer. Guy and Andrew spoke to dozens of graduates over the 2 events and generated a lot of interest in our graduate scheme. 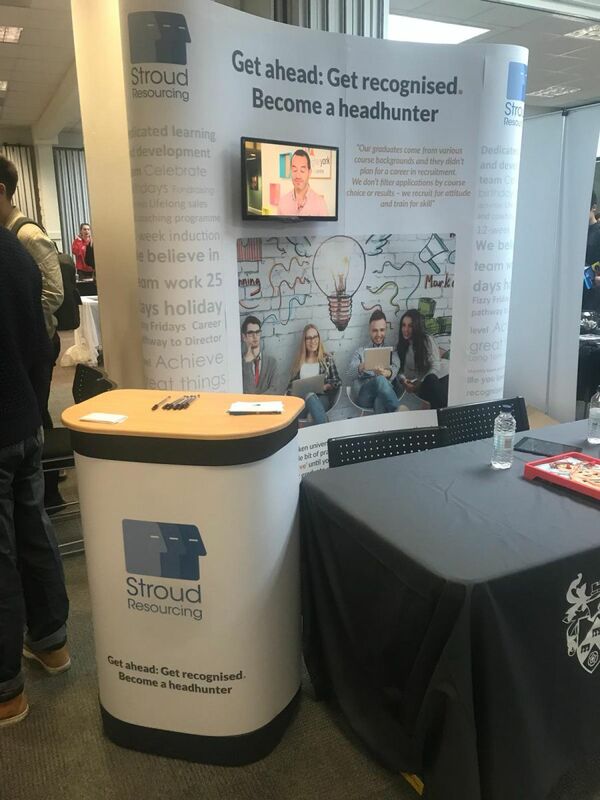 We had our brand new stand set up which reflects or new website and the video playing that we filmed on campus showing students what our people say about working for Stroud. We made the stand engaging by giving students a chance at the game Operation. If they successfully completed the game, they were entered into a prize draw to win a £50 high street voucher. The draw is still to be concluded! Overall we found the events to be hugely successful and all the people who we spoke to will be invited to attend one of our Recruitment Event open evenings and given the opportunity to pursue the role of a Graduate Recruitment Consultant further.